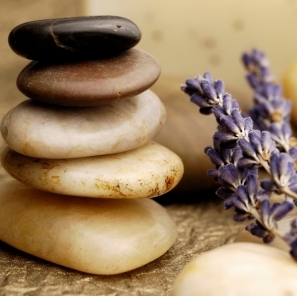 Essential Healing and Massage is a Massage Therapy Clinic located in the western suburbs of Chicago, IL. We have over a decade of experience in managing chronic pain symptoms for our clients, and would love to see how we can help you. Want to schedule online? Click the button below! Individuals interested in reducing stress, having relaxation therapy and maintaining health and well-being will benefit from a visit with us, as well as those who need relief from specific discomforts such as Fibromyalgia symptoms, TMJ, Arthrtis, Sciatic pain, and MLS symptoms. Lymphatic Drainage (LDT) is also a specialty of ours, and we also do Pregnancy Massage! We love what we do and take great pride in our work, so we hope you’ll notice the difference that makes in your service. We are offering Ashiatsu Therapy, ayurvedic treatments, Lymphatic Drainage, Thai bodywork, Salt scrub treatments, Detoxifying mud wraps and foot baths in addition to Therapeutic massage, deep tissue, prenatal massage, Hot Stone Therapy, Reiki and CranioSacral vibrational therapies in a welcoming and healing environment. Feel free to read more about massage, what to expect when you come in for a massage, or learn about the history of massage. We love sharing information!